The French Alps are one of the best places to go skiing in the world. Home to the largest ski area in the globe as well as the highest resort in Europe, in France world class ski resorts are not hard to come by. It’s not just the resorts which make France so good for skiing; the food, people and accommodation collectively create an atmosphere like no other. Keep reading for a more in depth look at everything you need to know about skiing in French Alps. What makes French ski towns so special is the variety of resorts on offer. Each is unique in its own right. 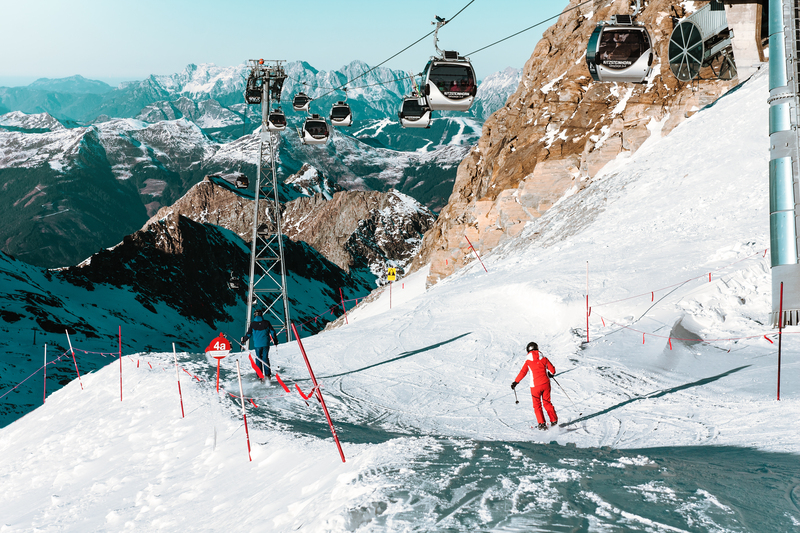 Whether you are looking for an upmarket resort or family friendly atmosphere; you will be able to find the perfect ski resort to suit you in France. Those looking to do some serious skiing head to resorts like Meribel in the Three Valleys. Located at the heart of the world’s largest ski area, visitors to Meribel have over 600 km of pistes to explore. Within the Three Valleys you will also find Europe’s highest resort, Val Thorens. Sitting pretty at an altitude of 2300m, Val Thorens is the ideal location for anyone looking for skiing in French Alps at the start or end of the season. Other high altitude resorts include Tignes in the Espace Killy ski range which is known for its snow sure runs and lively nightlife; and Avoriaz in the Portes du Soleil ski zone. If you have ever been to France before; you will know that food is an important part of the French way of life. It’s no different when you go skiing in French Alps. Expect to find plenty of cheesy dishes on all restaurant’s menus and a long list of delicious French wines to accompany them. My personal favourite is Raclette; a cheesy delight consisting of heated raclette cheese poured onto cold meats and vegetables accompanied by different breads. Other culinary delights from the region include cheese fondue, tartiflette; and of course pan au chocolat pastries and croissants in the morning. Be sure to check out the traditional cheese and wine shops and bakeries, which can be found in all ski villages. Accommodation can vary quite dramatically in French resorts. In every resort you will find premium hotels and upmarket chalets where you can expect luxury treatment from the moment you arrive, allowing you to truly relax. Although this kind of treatment doesn’t come cheap in French ski resorts; where prices can be extremely high, especially over school holidays including Christmas and New Year. Bed and breakfasts are also very popular as well as self-catered apartments which provide a good base for getting out and exploring the mountain range. For families, there are a number of hotels in France which offer free childcare as part of their accommodation. These hotels are well equipped for families, allowing parents to feel like they are also on holiday.